You can trust Kimtech Pure A6 Breathable and Liquid Protection Coveralls when you need a high-value combination of quality, comfort and enhanced chemical and microbiological protection. With two innovative fabrics for protection and comfort, the hood, front panel, arms and legs are made of high-performance laminated film fabric, while the back panel is made of ultra-lightweight breathable SMS material for comfort. 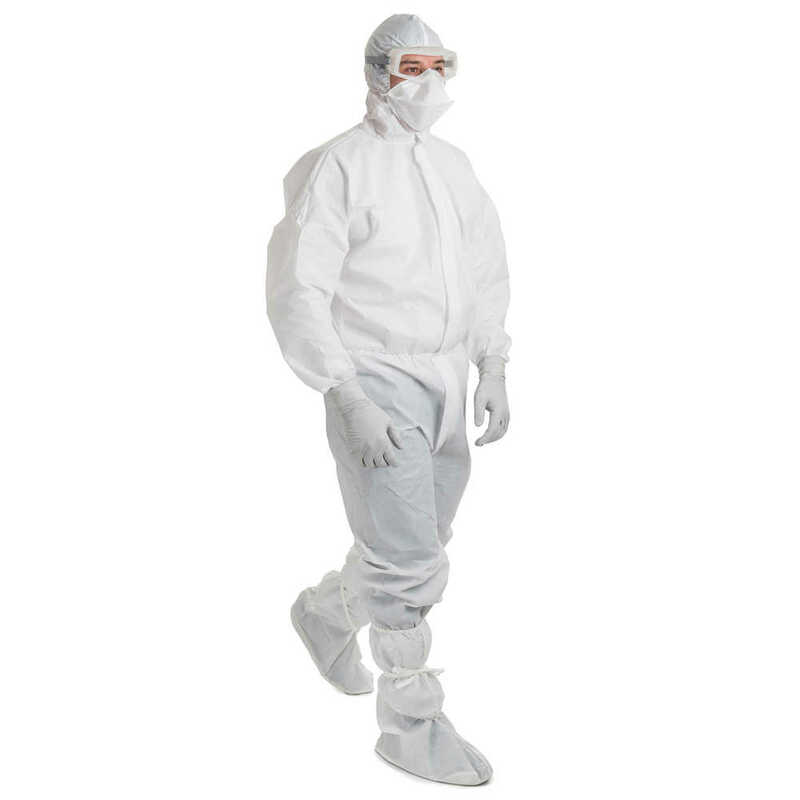 This PPE features a unique origami fold, designed to reduce gowning time and contamination. The garment is presented unzipped with the inside first, reducing the risk of contaminating the garment’s outside. Plus, the arms are telescope folded, as are the legs, which have built-in snaps. For use in biotech, non-sterile pharmaceutical manufacturing, bio-medical research, and pharmaceutical compounding, they are designed to protect your process by providing comfortable, sustainable protection. Kimberly Clark Professional is a respected name in protective apparel, enabling you to deliver the reliable protection you’re required to provide and the peace of mind your team deserves.